Dinner in a really nice town rarely seems to bode well, especially when I am with family or friends. Why you may ask? Well besides no one ever springing for reservations, I would have to point out three factors that I always notice: indecision (shall we eat here, what about there, or let's do three more hours of searching and then we'll decide), fear of crowds (there's always one, even if he/she doesn't pipe up), and the ever-so-common virtue of impatience. That formula, contributed from all sides mind you, seems to always equal a mediocre dinner at a place that no one really likes anyways. A recent dinner in Alexandria had similar luck, mainly due to a tight schedule and a wicked over-saturation of folk near the water. Yet despite a quick dinner of half-decent Asian cuisine, spirits were still high as we walked back towards the metro. At about 3/4 of the way there, we halted and lo, there we beheld a coffeehouse dubbed Misha's sitting on a perpendicular street. Needless to say I took advantage of our high spirits and we walked on over. The exterior was sharp; a white brick building with the name neatly emblazoned across the front in black script. As one walks in, a gargantuan counter and a menu of magnet letters greet you along with at least three baristas. In almost every direction, one finds a colorful orange and yellow space as well as a decent amount of seating, especially on either end of the establishment. I happened to have a coffee called Caravan, a lighter roast that sampled deliciously sweet and chipper, with a small hint of berry. The espresso inversely seemed over-pulled with a harsh though sweet taste with the distinct hang of cardboard. The tea was from Stash Tea. Overall, my Misha experience didn't really keep my spirits up, nor did it so for my patiently waiting friends. I did enjoy my cup of drip coffee and with such a large number of coffees (they had what seemed to be about 30 or so), I'm curious as to what the other coffees hold (minus the ones labeled "oily oily oily") and to see how they utilize their hot plates. If you pop in (especially if you're a regular), I'd be curious to get your thoughts. 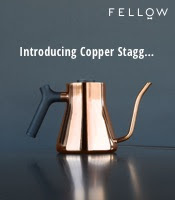 I happen to be a regular at Misha's and want to clarify a common misconception about their brewing technique. Many people think that because they use hot plates, the coffee is more likely to be burned and is less fresh. They actually change the coffee about every 5 minutes, and during the morning rush, the coffee is brewed even more frequently. You should have sampled some of their whole bean coffee, they have an amazing selection and whatever is in the jars was probably roasted that morning. 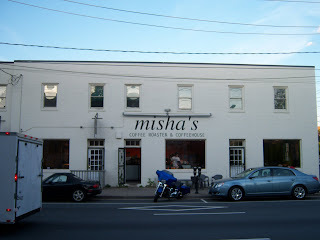 Your review of Misha's does them unjustice, and I think you owe then a second visit. Also, it is best to visit in the morning. There are more pastries on the counter and the more experienced employees are working. If you are lucky, you might see Andrea roasting the beans! I used to live in Old Town, about a five minute walk to Mishas. I cannot tell you how much I miss it. 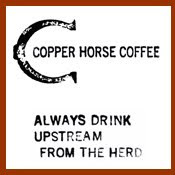 The dark roast, or as they call it, the "Route 66", is simply the best coffee I've ever had, period. Whenever I travel back I pick up a bag or two of whole bean Route 66. The atmosphere at Mishas is also something I miss. The people are extremely friendly and not afraid to engage in conversation that spans a wide array of topics. Refreshingly, the clientele isn't overly liberal. You go for the coffee, the ambiance (which is varied and mixed), and watching the passers by through the plate glass windows. The music helps a person enjoy living on the East coast, even if there is no beach.